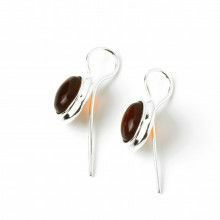 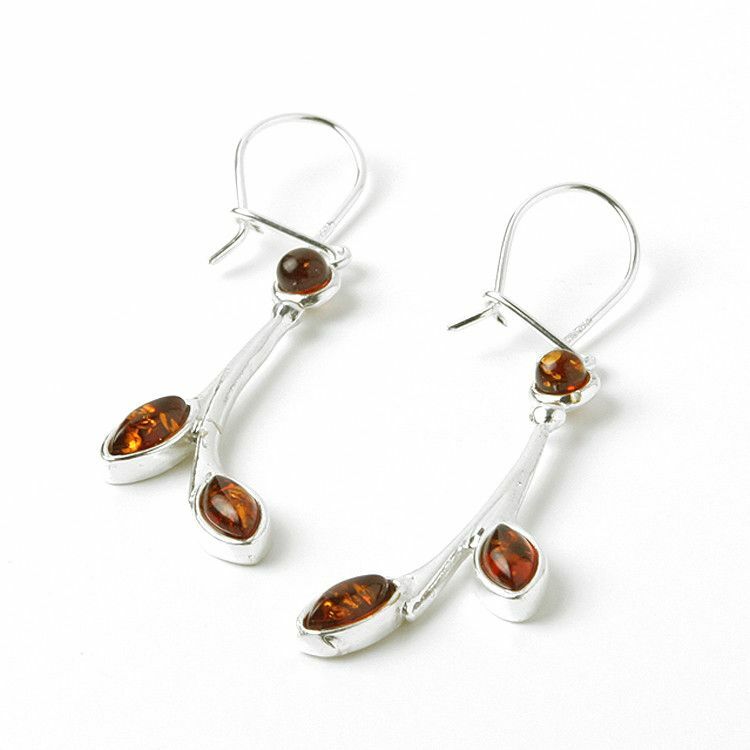 This charming pair of earrings features three 100% natural Baltic amber stones. 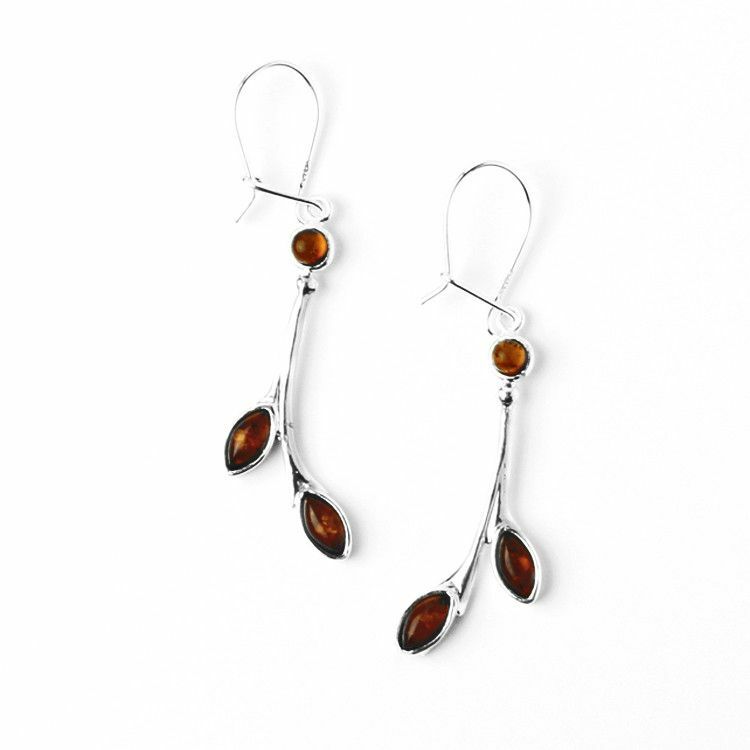 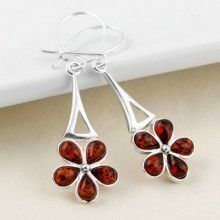 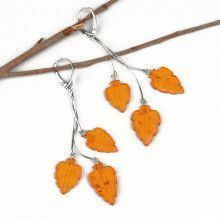 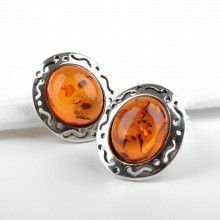 The amber stones are honey colored, and set in shinning .925 Sterling Silver. 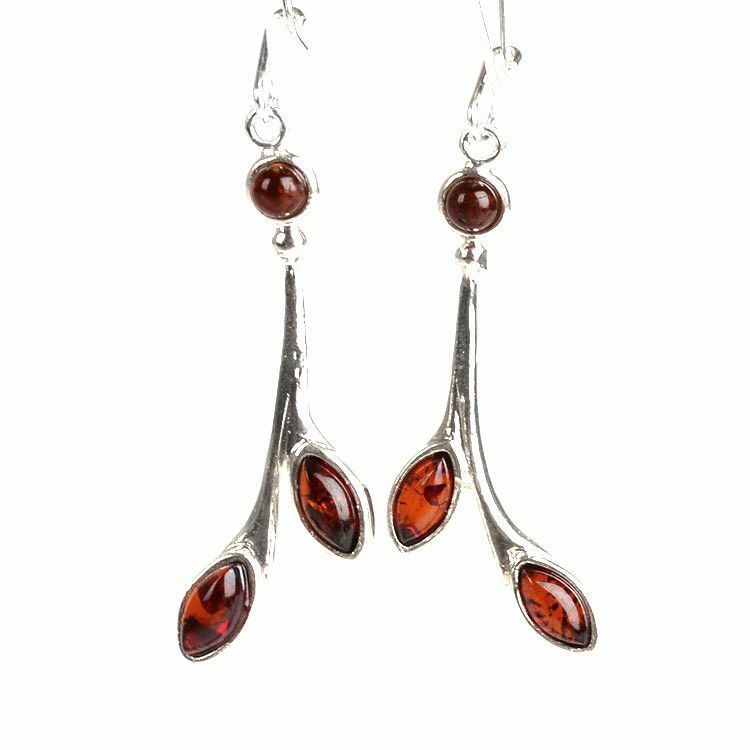 The total length of these earrings (including the latch hooks) is nearly 2 1/2" long.